Mask junkies rejoice! iHerb now stocks a whole range of masks from various brands, including Korean beauty brands! We all know that the Koreans are experts when it comes to skincare for Asian skin and one thing you cannot miss would be their sheet masks. 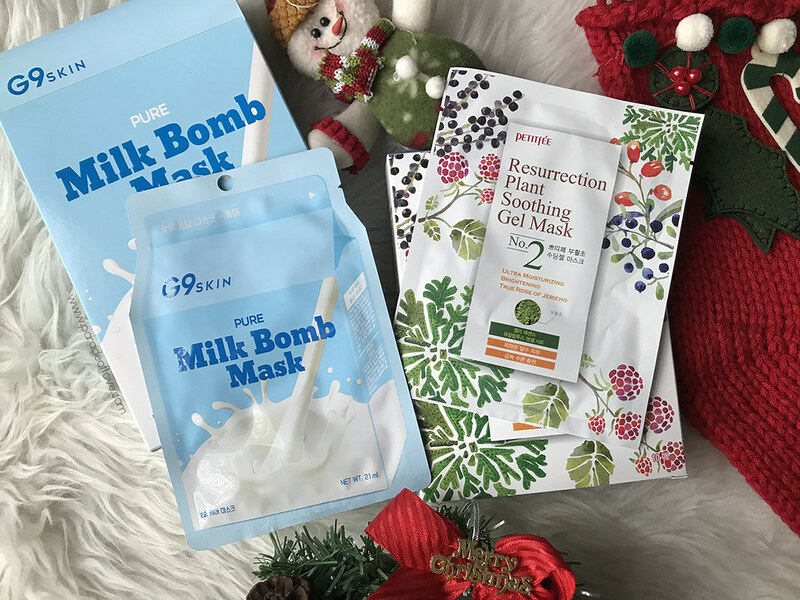 If you have a friend or loved one who is a mask junkie, you cannot miss the G9skin Pure Milk Bomb Mask! Packaged in a milk carton cardboard box, and as the name suggests, the masks are made with milk protein extract. Together with an amino acid complex, this moisture care mask transfuses moisture into the skin to help keep our rough, dry skin moist and healthy-looking. If you’re looking for a mask that is ultra-moisturising and brightening for the upcoming holidays, you could also opt for the Petitfee Resurrection Plant Soothing Gel Mask. The mask is designed with a Eucalyptus Tencel sheet that’s extracted from the Eucalyptus wood structures. Formulated with a Berry Mix Complex containing 4 kinds of berry extracts (Blueberry, Raspberry, Goji Berry & Acai Berry), this is a mask that helps your skin achieve radiance. The extract of the True Rose of Jericho also helps to enhance moisture retention which helps to thoroughly hydrate your skin! As mentioned above, iHerb now stocks many Korean brands and one of the brands that is highly raved is Chateau Labiotte. 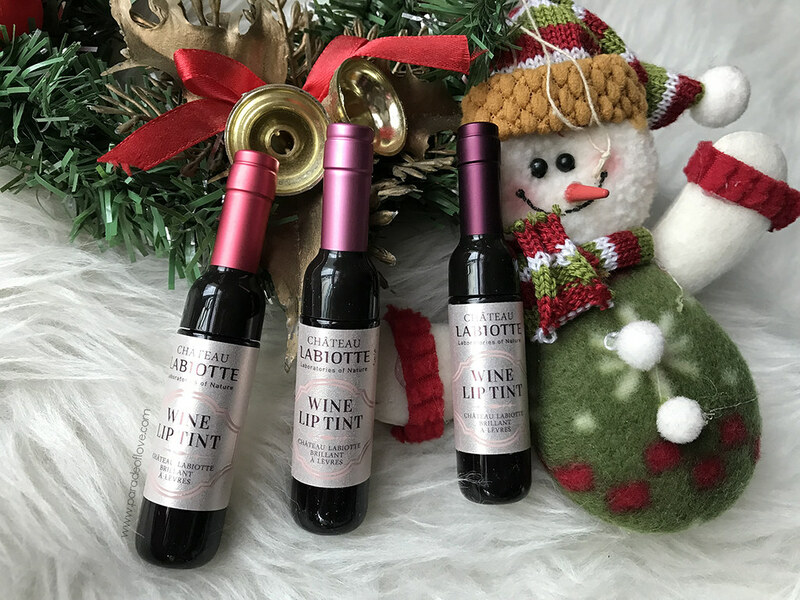 Chateau Labiotte is famous for their wine tints, and if you’re getting a gift for a K-Beauty Lover, why not consider the Chateau Labiotte, Wine Lip Tints? An avid traveller who knows how to take good care of her skin would love for her favourite skincare products to be in travel sizes. One of my favourite skincare brands is Pixi Beauty. Pixi Beauty is well-known for its wonderful skincare products, especially its iconic Glow Tonic. 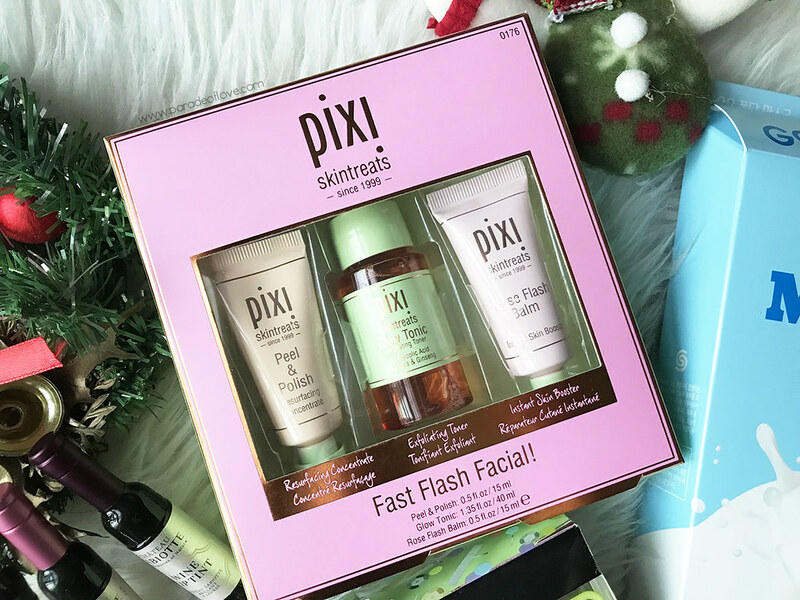 If you’ve got a friend/loved one who indulge in great skincare, the Pixi Beauty Fast Flash Facial 3 Piece Kit will be the perfect gift. Peel & Polish – This radiance-revealing enzyme peel resurfaces for smoother, softer skin, and a healthy-looking glow. It loosens dead skin cells, gently exfoliates, and polishes to reveal brighter skin. It’s like having a professional salon peel treatment anywhere you go! Glow Tonic – The exfoliating toner with 5% glycolic acid evens out the skin tone for a brighter, clearer and smoother complexion. Rose Flash Balm – This radiance-boosting balm is the ultimate pick-me up for tired, lackluster skin. It’s great to bring on board the plane as it targets fatigue in a flash by moisturising, brightening and revitalising the skin. Brushes and more brushes! 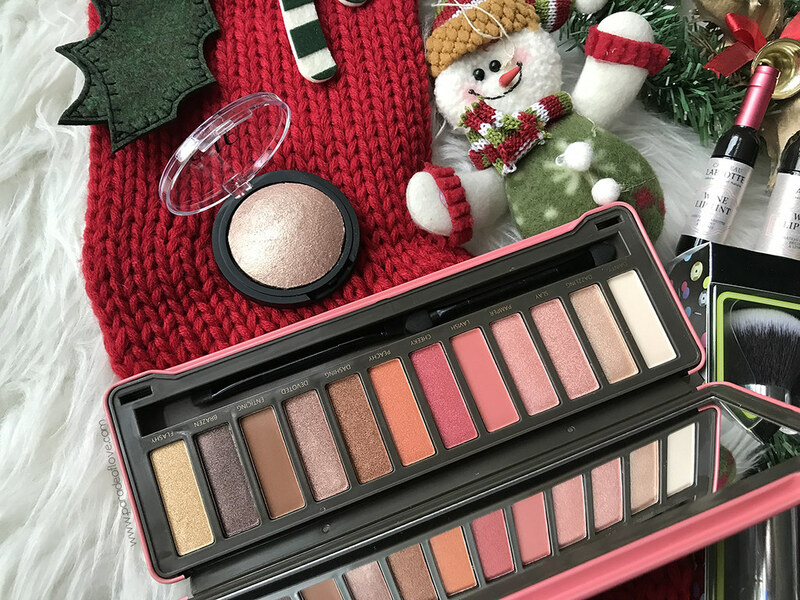 Who can resist brushes? Not me! A girl can never have too many brushes (well, for practical reasons of course). 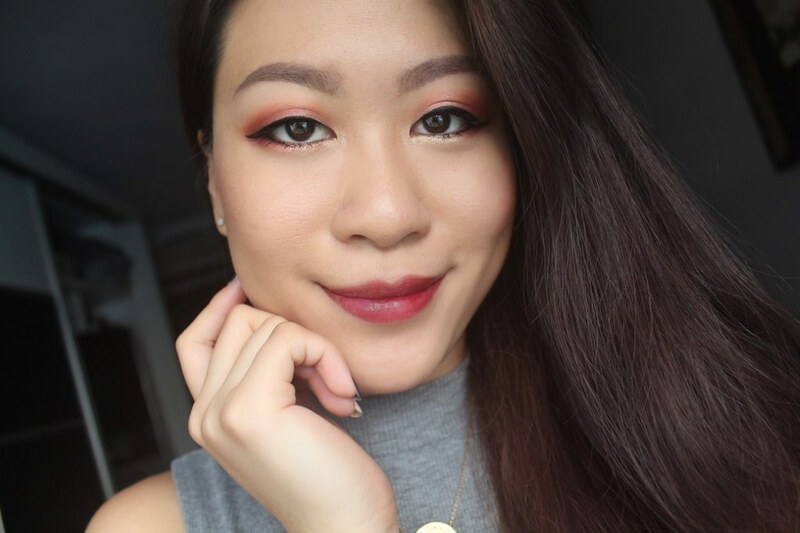 Real Techniques is one of my go-to brands for makeup brushes because they are soft and affordable. 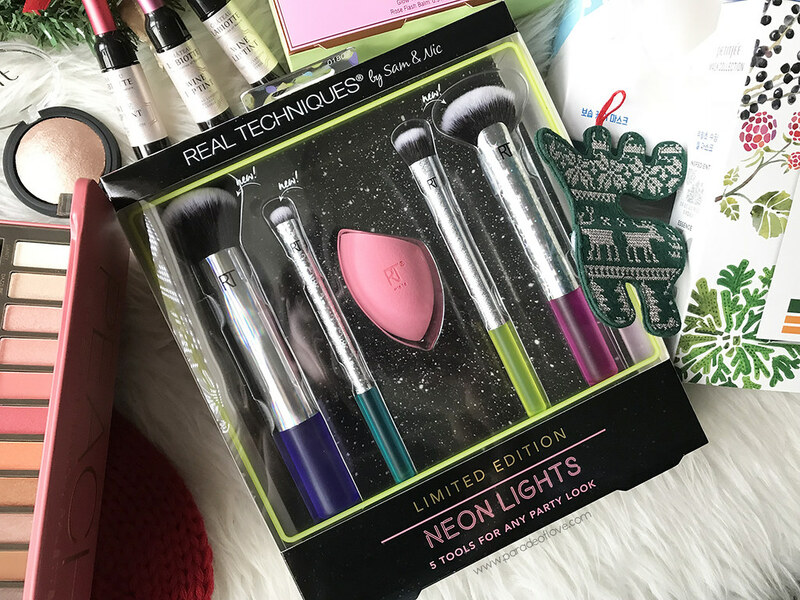 For the holidays, Real Techniques launched a new set of brushes, the Real Techniques by Samantha Chapman, Neon Lights Full Face Complexion Set. Samantha Chapman, if you didn’t know, is a pro makeup artist who owns a YouTube channel, Pixiwoo, together with her sister, Nicola Chapman. Contour Fan Brush – Densely packed for precise buffing of cream or powder contour makeup. Quality Guarantee – As a California based superstore, iHerb guarantees that all products are authentic brands sold in the U.S. market and is committed to providing quality assurance for our products and ship directly from climate-controlled warehouses. Delivery Guarantee – Deliveries are guaranted! iHerb also provides free or discounted shipping to over 150 countries around the world. For Singapore, you may opt for delivery via CJ Singapore Express, our local Singapore Post, DHL or even UPS. I’ve been shopping iHerb for a couple of years now and I’ve always had my delivery via CJ Singapore Express. It’s quick and you’ll be able to get your parcel usually within a week or so. 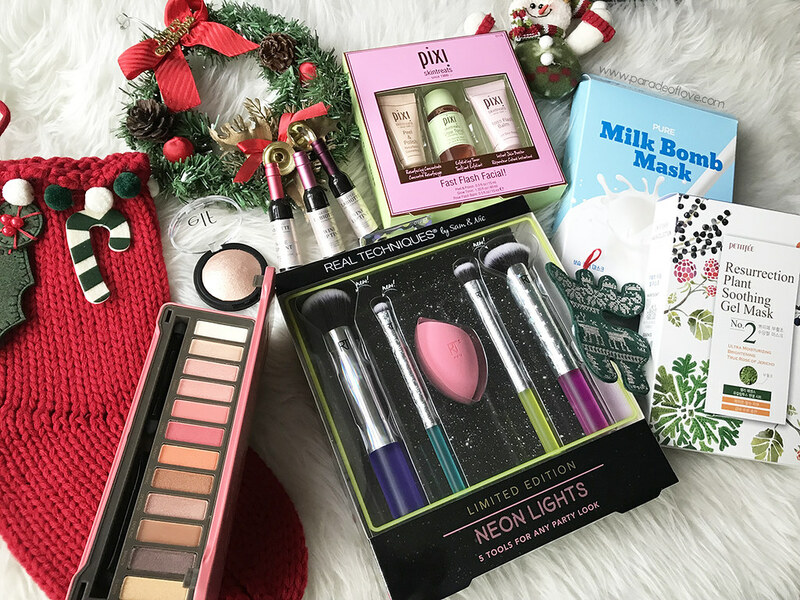 Before you make your lists and go head-to-head with the Christmas shopping crowd, do check out iHerb for the best beauty bargains and limited-edition sets! From a rich variety of choices from all-natural products, there’s sure to be something for everyone. Click here to get a 5% discount off your iHerb order and an additional $5 off* minimum order of $40! 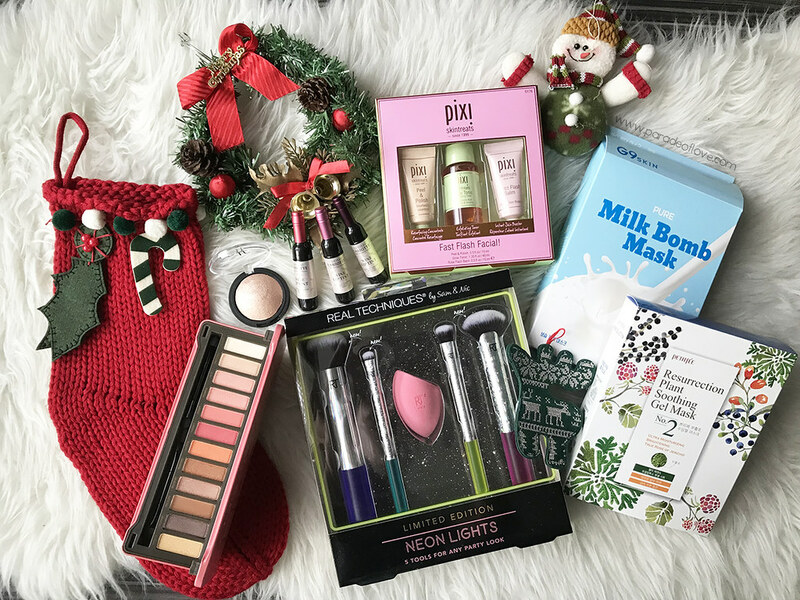 This is a nice information about the holiday and beauty gifts. Thank you!! 🙂 I hope you found it useful!